One year after the first Gaia UnConference the time has come. 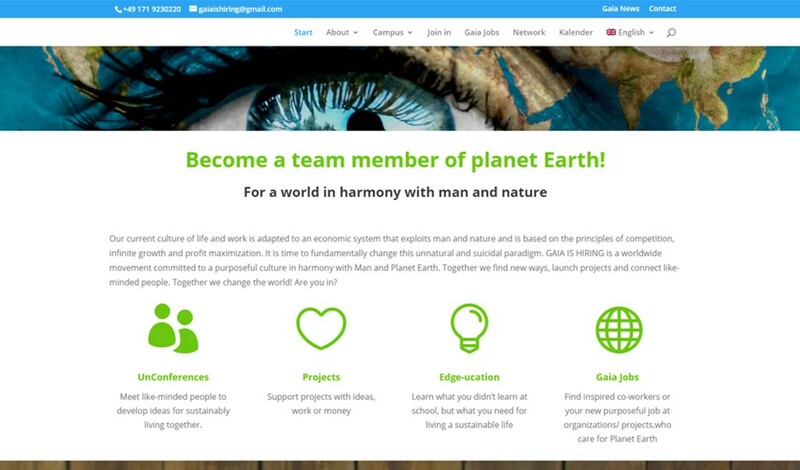 Gaia Is Hiring finally goes online with their own website, which is intended to be the cornerstone of the movement. The site is designed for growth. All of the important components have already been installed – such as a job exchange, a world map for networking and an area for alternative education offers – and can now be filled bit by bit with offers. The team is indescribably happy to finally provide a virtual “home” for the growing community of Gaia team members. The site of course lives from your use! So let us know your job offers, sign up for the world map, let us know which alternative education programs are missing on the page, give us feedback, what you are missing apart from that, etc.